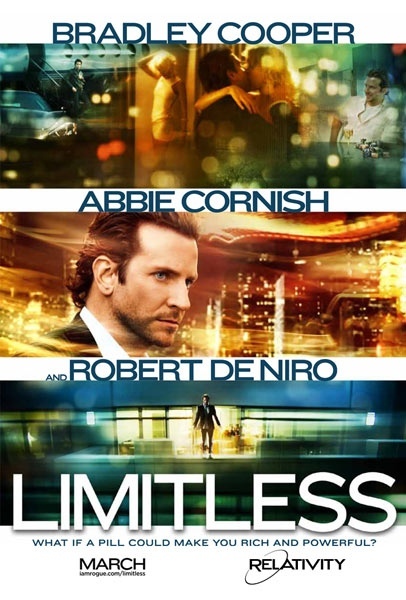 Starring: Bradley Cooper, Robert DeNiro, Abbie Cornish, Anna Friel, Andrew Howard, Johnny Whitworth, Robert John Burke. I greatly enjoyed director Neil Burger’s 2006 dark magician film “The Illusionist” and was interested in seeing him tackle this modern sci-fi/thriller. However, he could have been doing with a little more magic this time round as this doesn’t entirely satisfy. Eddie Morra (Bradley Cooper) is a struggling writer desperately trying to get a book published. When a chance meeting with his ex-brother in law occurs he is offered a pill to cure all his ills. It’s NZT, a drug that let’s you access 100% of your brain instead of the usual 20%. Within seconds Eddie doesn’t “have delusions of granduer, he has a recipe for it” and his life takes off in ways he never imagined. The higher Eddie gets though, the harder he falls as the drug supply starts to dry up and things begin to turn nasty. I enjoy a good science fiction yarn but despite the very interesting premise in this one, there’s just too many plot holes for it all to really click. It’s a half-decent little film, with a difference, but it struggles to work out what genre it wants to belong to and despite it’s promising, kinetic introduction, the fast pace then slows and it stumbles over the finishing line. It’s also shot in a way to try and capture the experience of the drug that Eddie is on which is effective at first but soon grows tiresome and starts to look like Tony Scott has got his hands on this one with his brand of in-your-face directing. 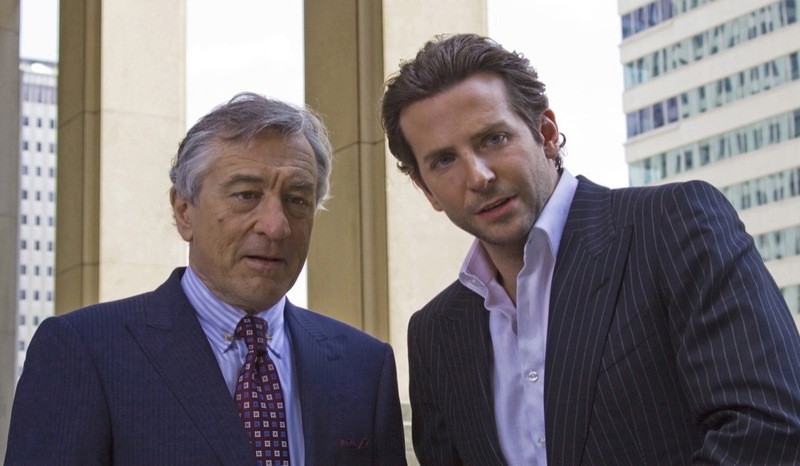 Cooper does a fine job in his first major leading role but DeNiro is completely wasted. He seems to be have the same casting agent as Nicolas Cage these days. His film choices are questionable at best and I wonder if he has a hefty tax bill to pay off. This type of quality from DeNiro will just not do, it’s about time he got back in league with Scorsese. Marginally entertaining and stylishly done but it could have been a little tighter and much like the after effects of drug taking, it feels a bit sloppy. This entry was posted on January 28, 2012 at 10:18 pm and is filed under Science Fiction, thriller with tags 2011. You can follow any responses to this entry through the RSS 2.0 feed. You can leave a response, or trackback from your own site.